Soccer players from United Futbol Club (UFC) and The Blues Soccer Club have lush new grass to play on this season. The grass on its fields at Ranch Capistrano was upgraded courtesy of Hutchins Agronomic Services with organic soil amendments from Agromin and grass seed and sod from Crop Production Services and West Coast Turf. With 40 teams from the UFC and 20 teams from the Blues practicing four days a week, plus high school tournaments, soccer tournaments and league play, the fields are under constant use. 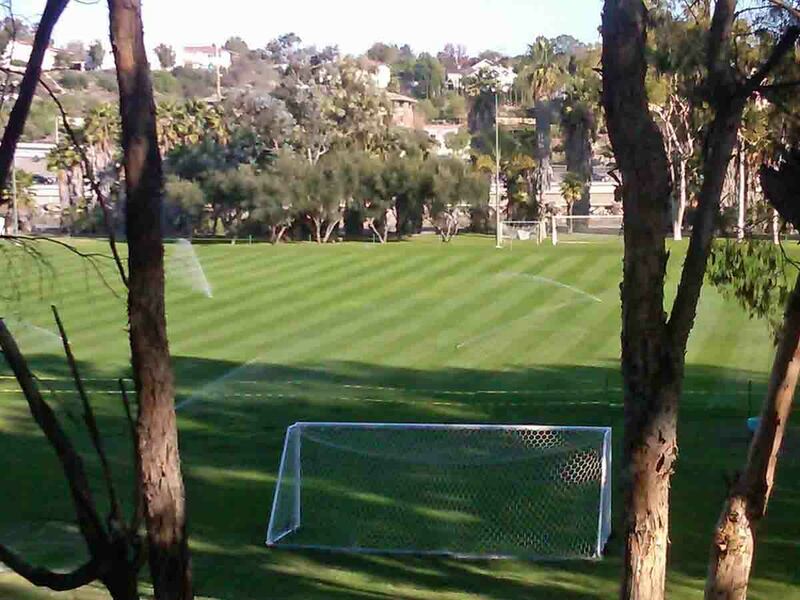 "It is mind boggling how much soccer is played on the ranch's six fields. That is why it is so difficult to maintain good field conditions," says Kevin Hutchins, owner of Hutchins Agronomic Services. Hutchins' son plays for UFC. His company specializes in golf course and turf field renovation. 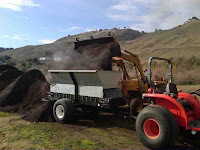 Hutchins' company used state-of-the-art equipment to seed the fields including an Amazone seeder and PlanetAir aerifier. His team also sodded areas where there was little or no turf. He then used Agromin's organic lawn dressing to cover the seeds and sod for warmth, to hold in moisture and provide nutrients. Hutchins used 240 yards of Agromin's lawn dressing over the six acres of fields. He also replaced 200 sprinklers. His team worked four, 16-hour days in December to complete the project. The reaction from The Ranch Partnership, the nonprofit group that runs the fields and soccer programs, was shock. "They were amazed how fast the grass grew and how great it looks," says Hutchins. The grass is a combination of 75 percent ryegrass and 25 percent red fescue. 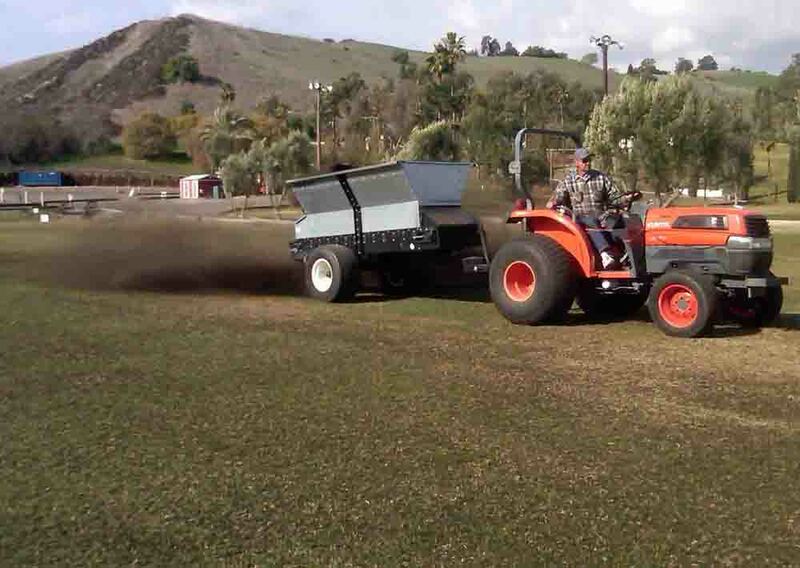 Over 5,000 pounds of seed and more 3,500 square feet of overseeded "328 Bermuda" sod were applied to the fields. Says Kelly Nunn, a UFC girls soccer coach, "This is the best that I have ever seen the fields. They have never looked this fabulous! Thank you Kevin. Thank you for your kindness and hard work." For more information about large-scale landscaping, contact Kevin Hutchins at kevinhas@ymail.com. Hutchins Agronomic Services offers agronomic consulting, soil testing, renovation planning and execution. . For more on organic lawn care, go to www.agromin.com.